The final numbers paint a telling picture. Ugliness reigned. There were 14 walks and three hit batters total in the game. There were two wild pitches, one leading to a run, and two errors. 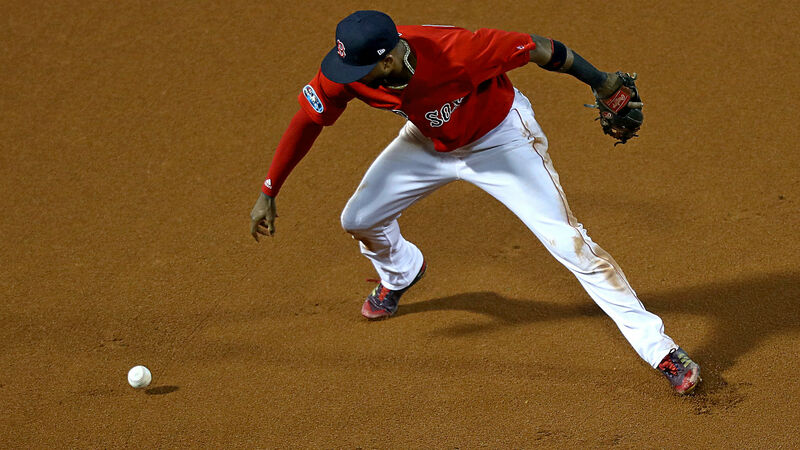 The Astros’ first two runs came after Red Sox third baseman Eduardo Nunez allowed a hard-hit grounder by George Springer to go under his glove for a base hit, a play he should have made. There was a moment of oddness after the end of the fifth inning. Red Sox manager Alex Cora was ejected by home plate umpire James Hoye for arguing balls and strikes. Andrew Benintendi, who was at the plate with runners on second and third and two outs in a 2-2 game, had struck out looking on a pitch that appeared to be well off the plate. It was just Cora’s second ejection of the year. Things went into full circus mode in the top of the eighth when Houston pinch runner Jake Marisnick took off from first base on an 0-2 count to Marwin Gonzalez. Red Sox catcher Christian Vazquez hurled a wild throw to second with Marisnick streaking toward the base. The ball was bound for center field, but 65-year-old umpire Joe West stood nearly still as he throw zipped toward him. It thudded against West’s right shoulder and fell meekly to the grass in front of second base. Both teams appeared mystified by the play. The proceedings dragged for four hours and three minutes, the last out recorded at the bleary hour of 12:13 a.m. Eastern, and it was hard to believe, by the end, that these teams were the class of baseball this year, winning 211 games — the third-most combined regular-season wins by teams in a playoff series in MLB history. Cora tried to look on the bright side — despite the sloppiness, the Red Sox had a chance to win heading into the ninth before the Astros KO’d the bullpen. Maybe so, but Cora nailed the last impression of this game: It wasn’t the best night, for anyone.